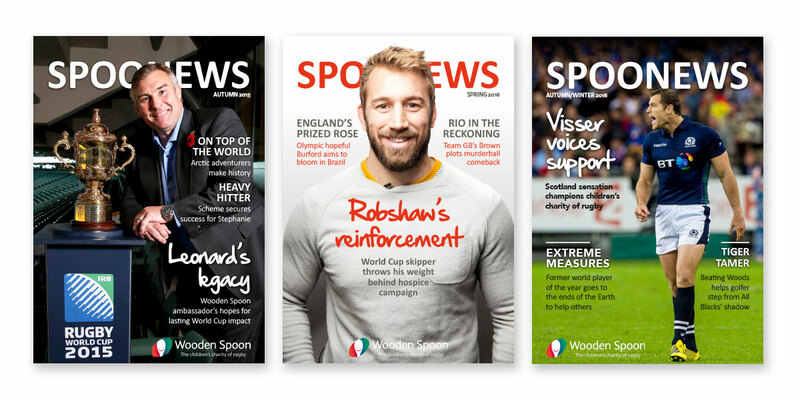 When Wooden Spoon, the children’s charity of rugby, wanted to rejuvenate its flagship bi-annual magazine, it called on TylerBale to come up with a game-changer. The charity operates through a number of regional committees throughout the UK and Ireland, with each raising huge amounts of money to fund life-changing projects. Looking at these stories with our journalistic hats on, we instantly saw the potential to turn what was a standard newsletter into a glossy, feature-rich magazine. Our approach centres around creating bespoke copy, whether that involves interviewing fundraisers or chatting to those who benefit from Wooden Spoon’s work, so that readers receive a magazine of genuine interest. 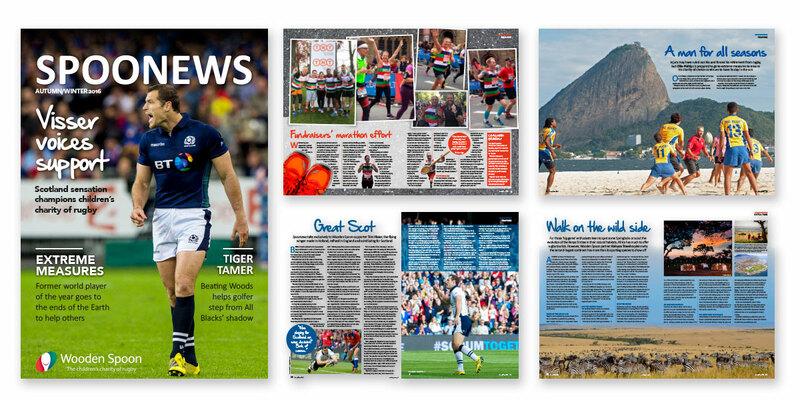 We also work hard to ensure that big names from the world of rugby and beyond grace the pages of each issue, drawing readers in by ever greater numbers. This tactic has seen Spoonews feature famous faces including then-England captain Chris Robshaw; retired forward Jason Leonard; women’s international Rachael Burford; Scotland back Tim Visser; and New Zealand golfer Michael Campbell. Our efforts have helped Wooden Spoon better communicate its activities across Great Britain and Ireland, both with existing supporters and newcomers to the charity.